Much as I enjoy wandering around the fascinating tropical areas of Asia, there are times when I’m pretty glad I live in New Zealand. As I sit here right now (about midnight), in my awning outside my tiny house caravan, I can hear loud rustling outside amongst the dry leaves – the rustlings of a nocturnal creature of some sort. I am remaining fairly calm about this, because I know the odds are it’s just Russell, the avocado-eating prickle-critter. Russell won’t eat me. He just eats snails, slugs, cat biscuits (stolen ones taste best) and avocados. I think that’s why he lives around my tiny house – it’s situated under a plum tree and an avocado tree, and lately it’s been raining avos down so hard that it pays to wear a helmet outside. 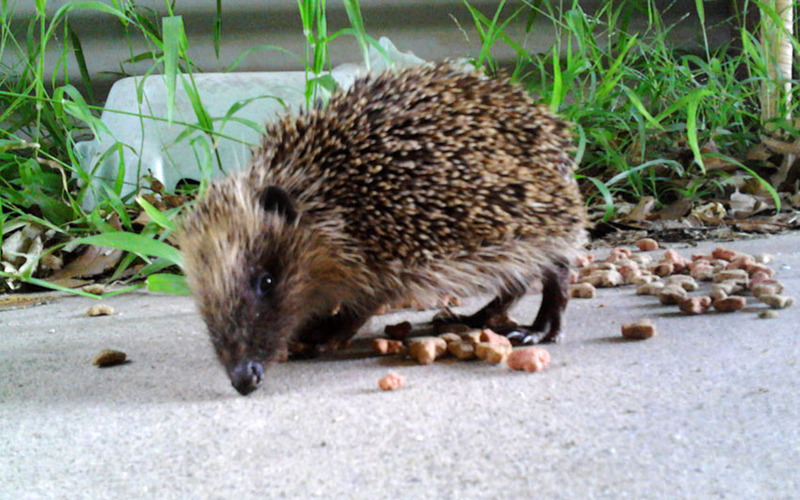 A veritable feasting ground for a prickle-critter. 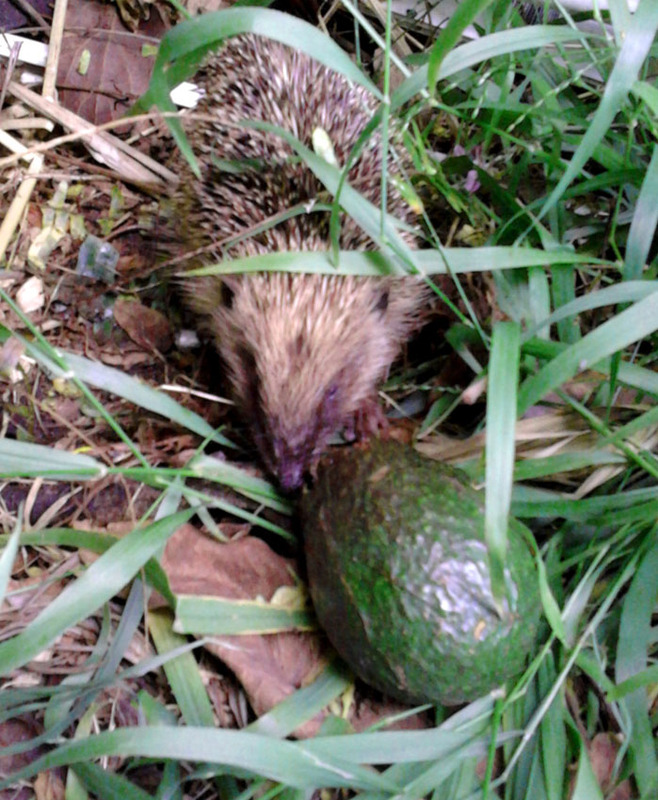 Russell the prickle-critter, saving me from nasty vicious avocados. But it just occurred to me that if I was living in some of the parts of Asia I’ve seen, those rustlings outside would be a whole lot creepier. 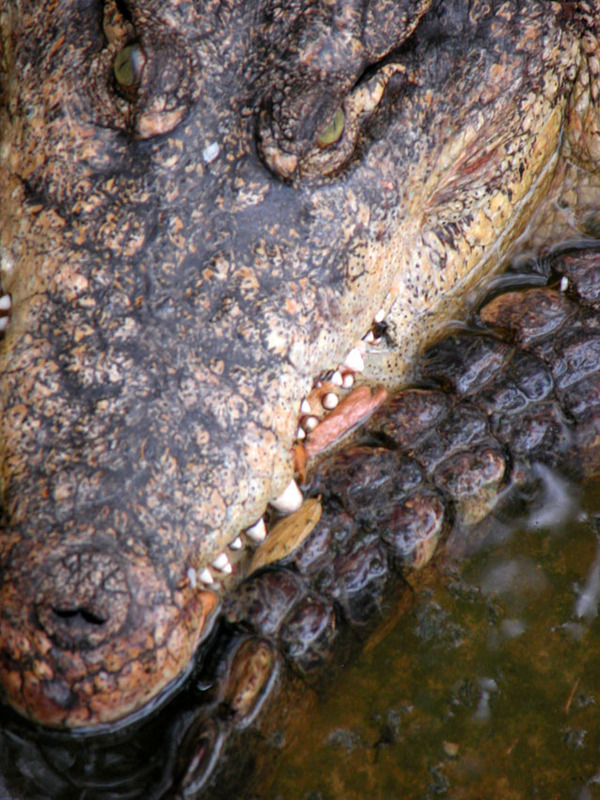 In India, they could be the rustlings of a tiger, or a rabid monkey or a cobra. In Thailand they could be a rabid street dog, an escaped and somewhat unbalanced elephant or buffalo (neither of which is a happy option) or also a cobra. In Cambodia, well, I’m not entirely sure what creeps around Cambodia at night but I’m fairly certain I wouldn’t want to meet one. New Zealand is great like that. We don’t have scary animals. We don’t have snakes. And we don’t have leeches. 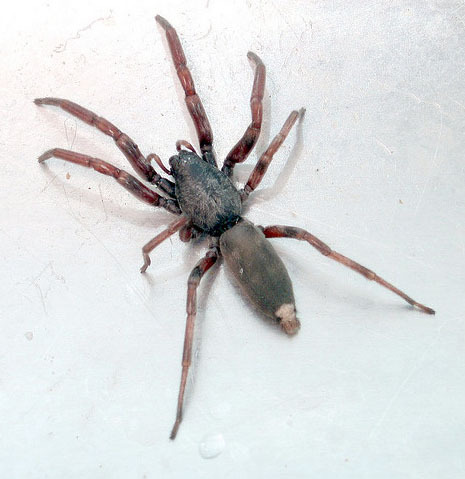 The only dodgy spider we have is one that popped over from Australia – the white tail spider. Nasty, aggressive little so-and-so’s they are, that look like torpedos on legs and have a distinctive white tip on their hind ends. They don’t make their own webs, so they tend to hide around your house, in your shoes or under your mattress or amongst the washing pile you really should have folded yesterday. They eat our good spiders and if they bite humans, some people get rather nasty reactions and swell up all over the place. I’m giving serious consideration to ringing the Ozzies up and asking them to come and take the little blighters back. I sure as heck hope they don’t decide to send some of their crocodiles our way. I can SO stuff up your day! White tail spider – kindly lent to us by Australia. Thanks neighbours. Pffft! Photo courtesy of Kaptain Kobold. New Zealand used to be part of the supercontinent Gondwanaland, but it broke off about 85 million years ago – give or take a year or two – and floated into colder climes. This caused many species of flora and fauna to die off and New Zealand developed its own unique types of plants and so on, and we ended up with mostly birds, a lizard (the tuatara) that is considered to be a living dinosaur, and the only native mammal that we can lay claim to – a very small type of bat. I’ll be writing more on here about our native creatures one of these days. 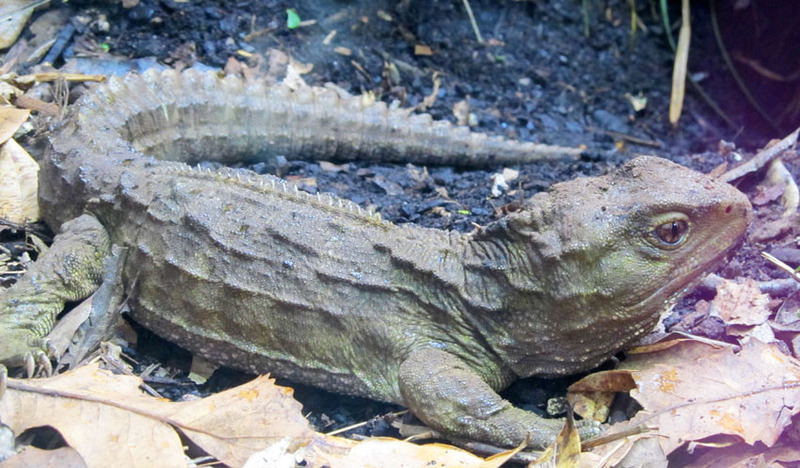 Baby Tuatara – New Zealand’s ‘living dinosaur’. The only surviving members of its order order ‘Rhynchocephalia’. You could almost walk barefoot around the forests in New Zealand in total safety – except that in some areas you might step on razor wire set up by dope growers to stop you from stealing their stash – because we’re totally, and happily, bereft of poisonous, biting, attacking, mauling, man-eating or any other bad news types of critters. The down side of that is that New Zealand is out and out boring when it comes to wildlife. Our forest canopies do not ring with the joyous whoops of gibbons, we’ll never know the marvelous sight of water buffalo languishing magnificently in our town water supply and I can guarantee you, without even researching it, that not one single New Zealander can lay claim to spotting a snow leopard stealing his cows. 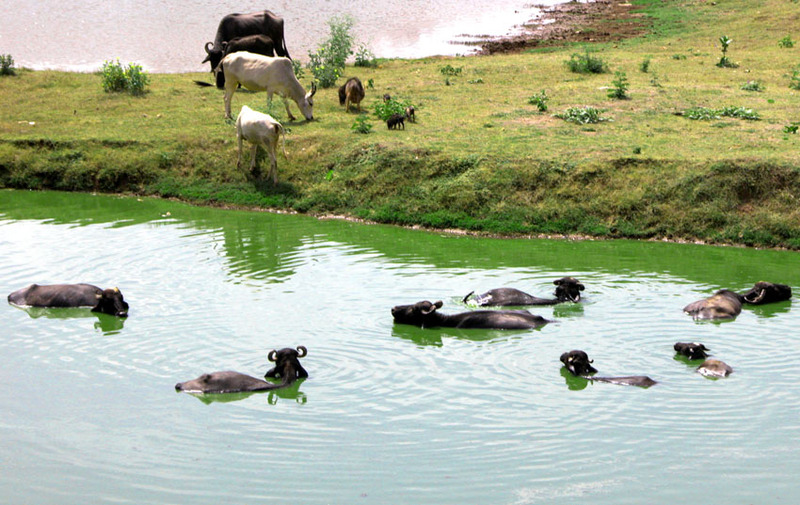 Rajasthani Town Water Supply Buffalo Filtration System (TM). Bundi, Rajasthan. Something I miss greatly when I return to our little garden of Eden is having lizards on the walls and ceiling. 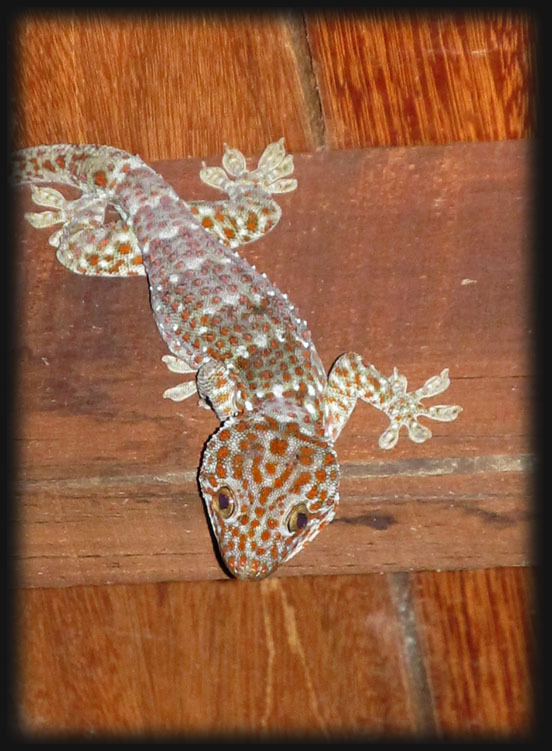 That’s the first thing I look for when I get to Asia – resident geckos. I’ve whiled away many an hour watching the little beasties poking their heads out from behind a sign or a pot plant, scuttling towards the light and gobbling up moths, mosquitoes and other night-time delights that otherwise would be accompanying me in my slumbers. We had a gecko on our ceiling at Elephant Nature Park that made kissy noises at about 5.30 am every day, announcing the arrival of the morning light in a most romantic fashion. And a little while after that a local tokay lizard would start up with his Asian version of a cuckoo clock. You can listen to one here. I realise that the locals don’t like tokays very much, because if you’re unlucky enough to have one fall on you, it’s like meeting up with the pitbull of the lizard world – if they bite you, they don’t let go in a hurry, and some of them are quite a healthy size, probably about as long as three mobile phones end on end. You apparently have to go and hold whatever of your limbs they’ve latched onto into a bucket of water until they need to come up for air and thus let go of you. I can well imagine that such an occurrence would stretch your sense of humor somewhat. But it was a nice way to start the day, playing spot-the-gecko, counting how many times the tokay said ‘tokay’ and then stumbling around the open-walled bathroom trying your best to avoid standing on that cute little inch-long frog that crouched in the corner by the basin. Tokay Lizard. A mixture of an Asian cuckoo clock and a pitbull. The worst scenario I’m likely to get, in my indoor/outdoor type of lifestyle, is a cockroach in my coffee cup. It’s just not the same really, is it? A Morepork. Photo courtesy of ‘in paradise’, Flikr. I realised a little while ago that I tend to rave on about places in Asia that I’ve been to – especially Elephant Nature Park – but not really raved very much about the beautiful little country of my birth. So here’s a little rant about my place – Aotearoa, ‘Land of the Long White Cloud’. Also know as Godzone by the denizens of the land, or Middle Earth to the world, since Peter Jackson used the exquisite scenery here as the background for The Hobbit and Lord of the Rings. We may not have elephants here, but we do have hobbits. Yessss, we doesss. The North Island of New Zealand (Middle Earth) with directions on where to find stuff. I’ve been lucky enough to see a lot of my country. I hitchhiked around it when I was young, travelled around it when my kids were young and we lived in a 1948 Leyland Half-Cab bus, and still travel it a fair bit due to work and other interests. I’ve tossed a few photos into the mix here that I’ve taken relatively recently in a small selection of places in the North Island of New Zealand. New Zealand, or Aotearoa, is a country of many geological features. If you drove from one end to the other, you could, for instance, swim in the Pacific Ocean, cruise through lush rain forest, vehiculate along rolling plains, traverse a volcanic desert plateau, take a moment to go snow skiing, then meander through folded, unironed-looking countryside, pass yet another volcano, take a ferry from the North Island to the South, motor down a very wet West Coast (raincoats and spearguns for the mosquitoes mandatory), pan for gold, climb a glacier, drive over to the East Coast – with the occasional pause while the council rebuilds the road after a landslide – watch some whales, dive for crayfish, take photos of seals and sail around some beautiful sounds. I recommend taking some strong coffee with you if you plan on doing all this in one day though. I’ll start with some photos of the gorgeous little town of Whangamata, at the foot of the Coromandel Peninsular on the East Coast of the North Island. 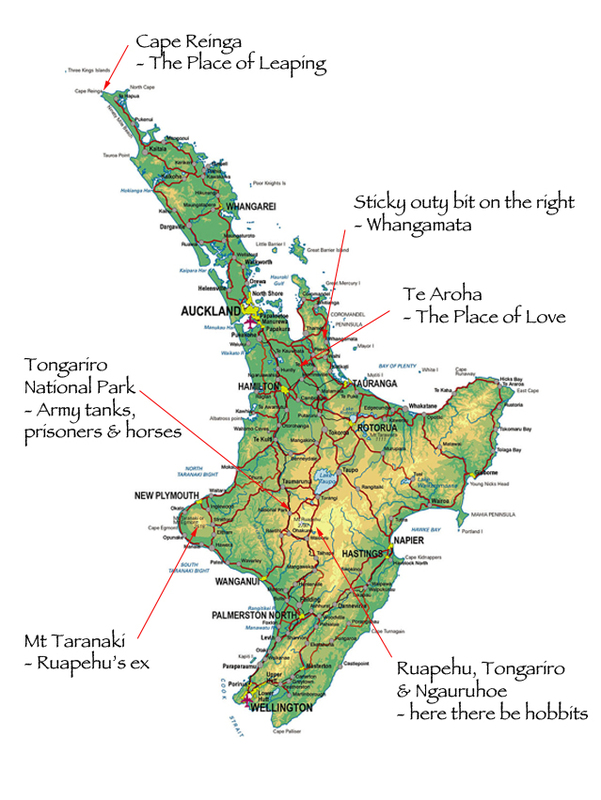 If you look on a New Zealand map, it’s one of the sticky-out bits on the right of the large island at the top. Flowering Pohutukawa tree in the foreground at the estuary, Whangamata, Coromandel, North Island. 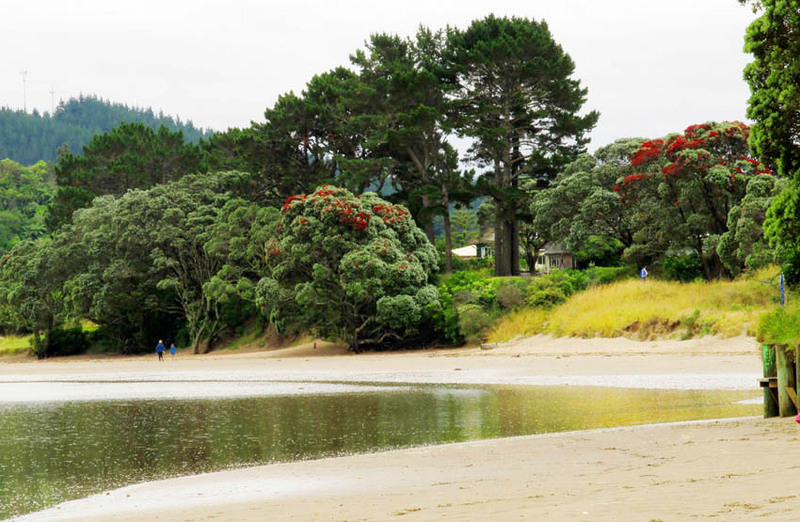 This is at the mouth the estuary in Whangamata, showing a flowering Pohutukawa tree, also known as the ‘New Zealand Christmas Tree’, because it flowers around December. If it flowers before December, this is taken by Kiwis (local people, not fruit – they’re called ‘kiwifruit’ here) as a sign of a hot summer ahead. They make fantastic trees for climbing, as their branches start low and spread out almost horizontally. I spent many happy hours being cradled in them as a kid. They prefer to be right beside the coast and they’re often seen clinging to cliffs so precarious a Himalayan mountain goat would tremble at the knees. Pohutukawa and its cousin Rata feature strongly in traditional Maori lore. (Maori being tangata whenua – ‘people of the land’.) 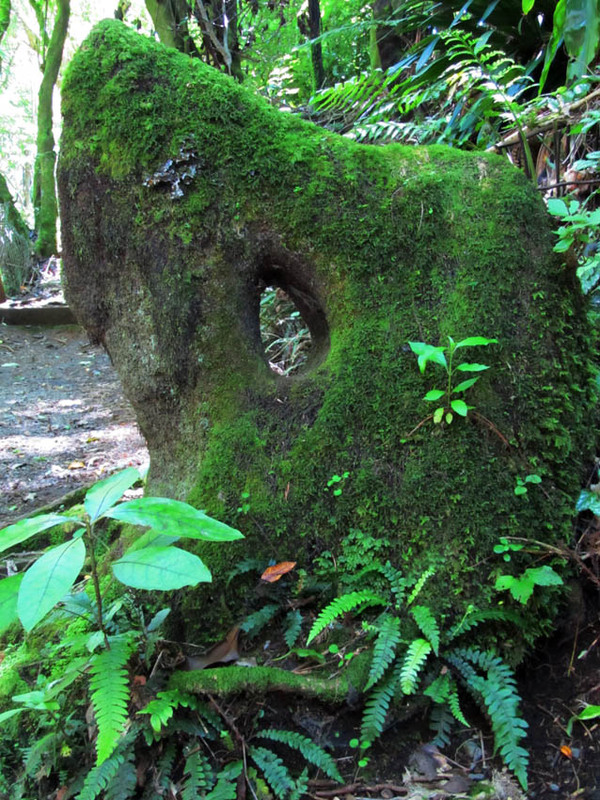 There’s a gnarled, 800-year-old Pohutukawa on a cliff at the top of Cape Reinga, on the northern tip of New Zealand. It’s known as ‘The Place of Leaping’ by the Maori, the beginning of the journey of those who have died to their traditional homeland ‘Hawaiiki’. It’s said that their spirits leap of the headland, climb down the roots and descend into the underworld on their return home. 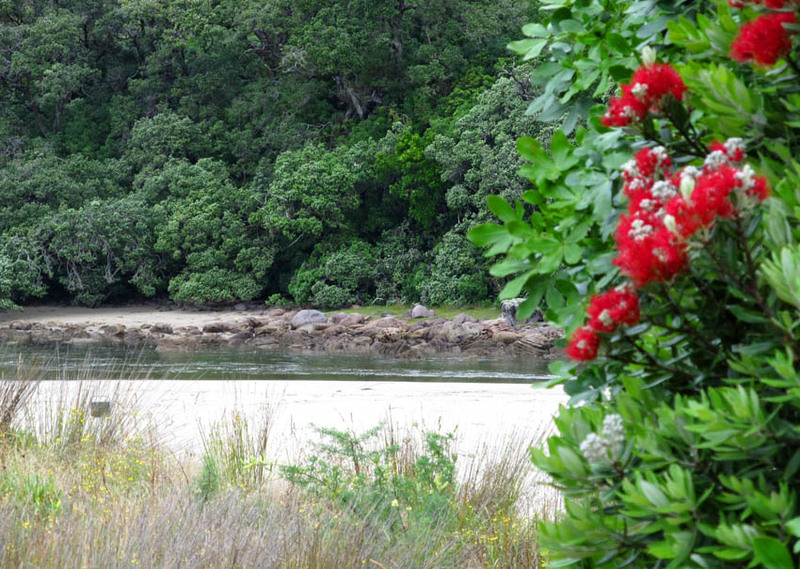 Estuary with flowering Pohutukawa trees. Whangamata, Coromandel, North Island. 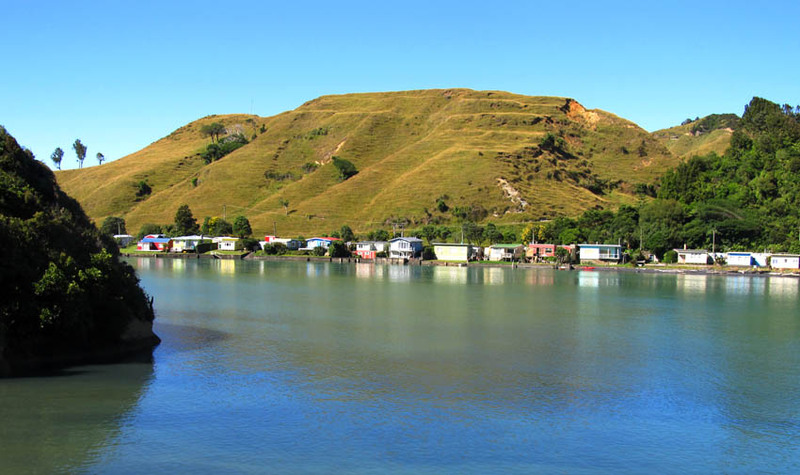 Whangamata has several little islands just off its coast. 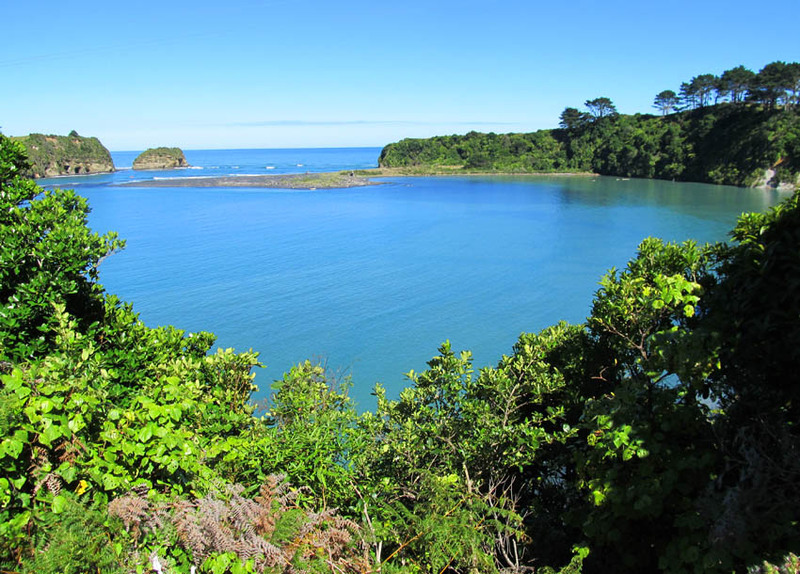 Below is Clarke Island, or ‘Hauturu’. 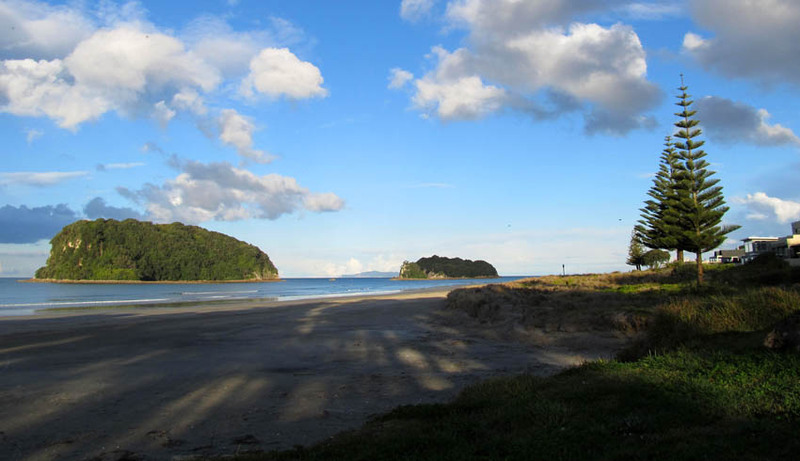 Some of the islands off Whangamata Beach, Coromandel, New Zealand. This is what it looks like around dinnertime. 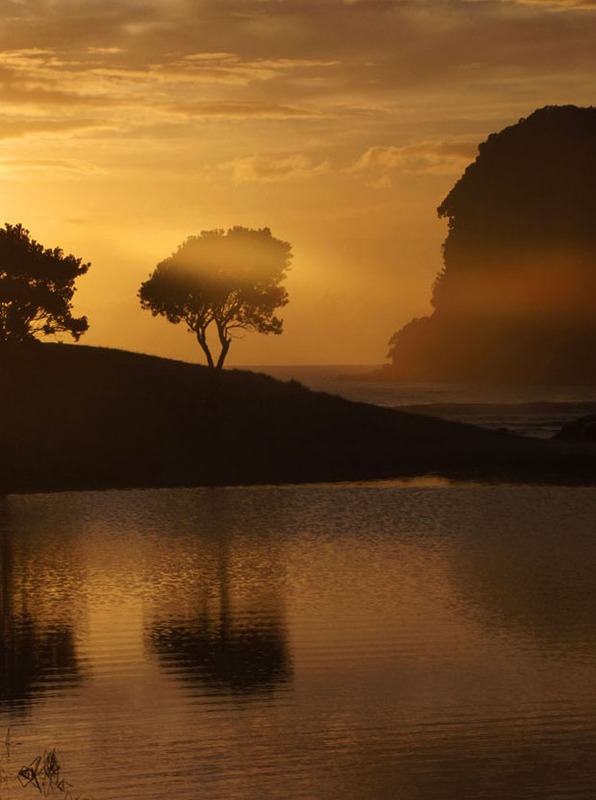 Clarke Island, or ‘Hauturu’, Whangamata, Coromandel, North Island. If you walk back up the dunes towards the nature reserve, you’ll go past a nice little pond that houses ducks and frogs. I sometimes sit here and catch up with the Gossip of the Amphibians. A duck pond at the local park, host to many frogs and ducks. A great place to walk by a little while before dusk. Whangamata, Coromandel, North Island. Williamson Reserve, Whangamata. ‘Hauturu’ island in the background. 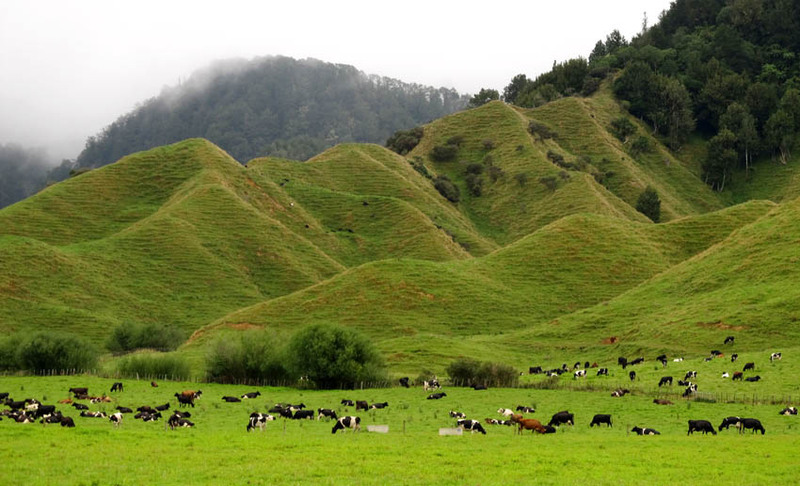 There are many hills and mountainous ranges in New Zealand. And roads that wind up, through and around them. This can be quite vomit-inducing to the uninitiated, so if you’re touring NZ in a car, for gawd’s sake take a few strong paper bags with you. I was wondering the other day if that’s why I wasn’t sick when travelling up the Himalayas (see that story here) – because I’m used to traveling on curly roads. 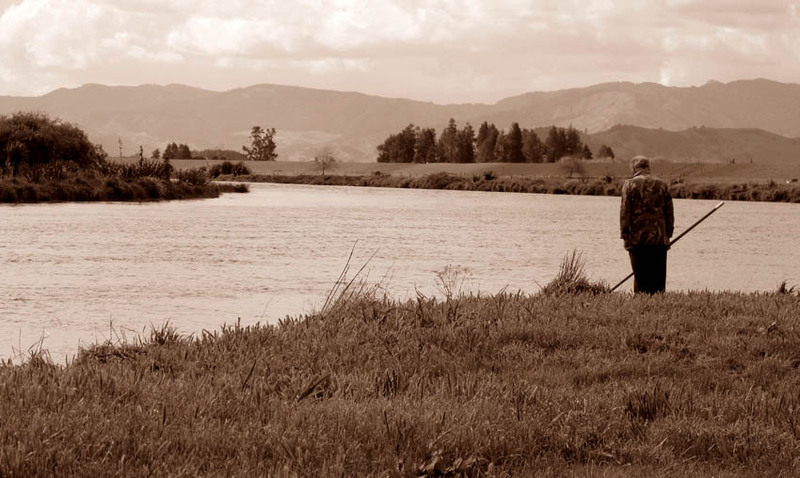 Fishing – favourite pastime of many a Kiwi bloke. I strongly suspect that in many cases it’s used as a fairly legitimate excuse to get out of the house… Looking towards the mountain ranges on the way to Thames, from the Hauraki Plains. Coromandel Peninsula, North Island. 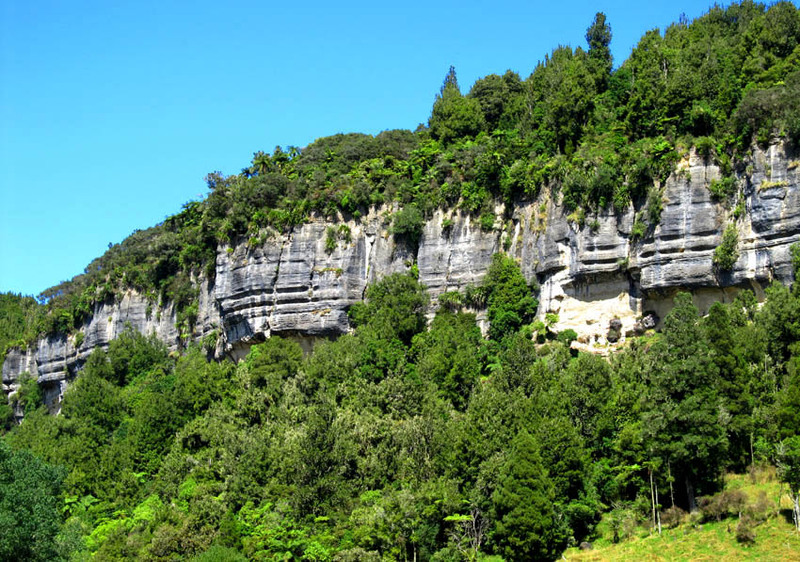 Drive from Whangamata through to the Waikato region, and you’ll probably see Mount Te Aroha. ‘Aroha’ in Maori means ‘love’. I relate to this very much, having stayed untold times with my beloved grandparents, who lived at the foot of this mountain, as a child. Maori legend has it that a chief’s son, travelling home from visiting family, ascended it and from the top he could see his tribal home, and this bought him much joy. Thus he named it ‘Aroha ki tai’ – the ‘Mountain of Aroha’. It’s a pretty unique little place. There’s a domain there, the oldest intact Edwardian domain in New Zealand. My memories abound with times my brother and I went hunting for frogs in the ponds, swimming in the mineral pools (created to utilize the soda springs that naturally occur here) and nosying around the bandstands and villas sprinkled around the grounds. Just up the mountain a little bit is the only natural soda water geyser in the world – the Mokena Geyser. We used to love going up there and waiting for it to blow its spout of crystal clear hot soda water, which it does about every 40 minutes. 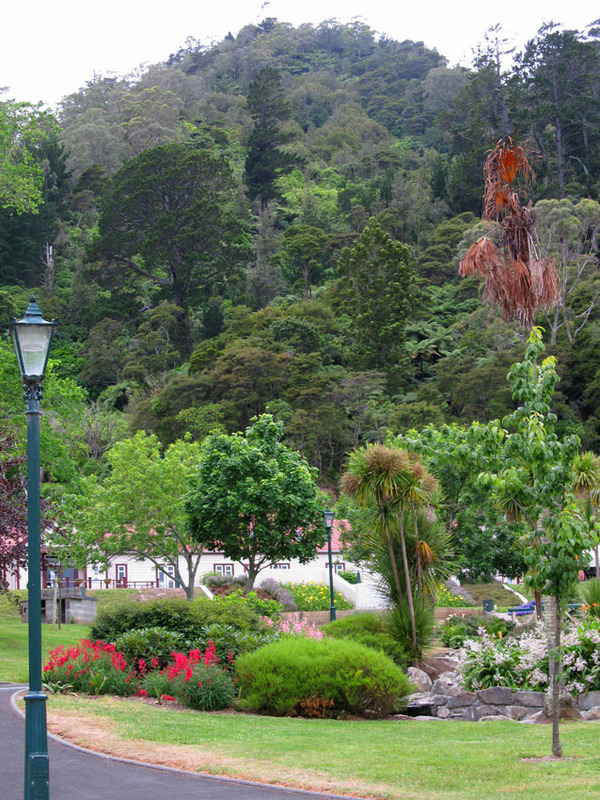 The Domain at the base of Mount Te Aroha, North Island, New Zealand. 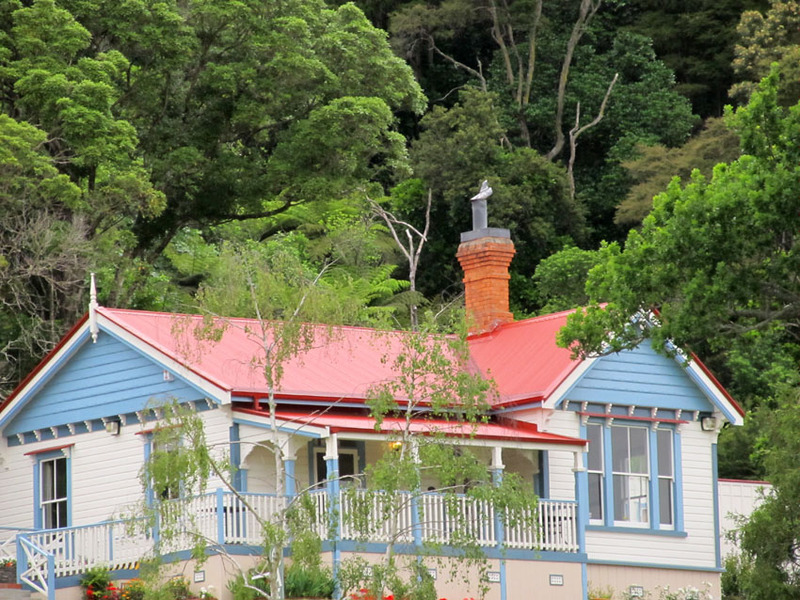 Kiwi ‘villa’ at the base of Mount Te Aroha, North Island, New Zealand. Carry on down the line a bit, towards the center of the North Island, and you’ll end up, probably to your surpise, in a desert. A high, volcanic one. With live volcanoes. And yes, the volcanoes do explode from time to time, so before approaching this area, put your sandwiches in a sealed box to protect them from ash. This means you have now entered Tongariro National Park, the oldest national park in New Zealand and the fourth national park established in the world. The original name for it is ‘Onetapu’ meaning ‘Forbidden Sands’. It actually has volcanic dunes, of which there are only a few in the entire world. This is an area of low foliage productivity and extreme climate. The only inhabitants here are the New Zealand Army Waiouru Training Camp, the guests of Rangipo Prison and a herd of feral horses – otherwise known as the Kaimanawa Horses, descended from escapee domestic horses that made their bids for freedom in the 19th and 20th centuries. 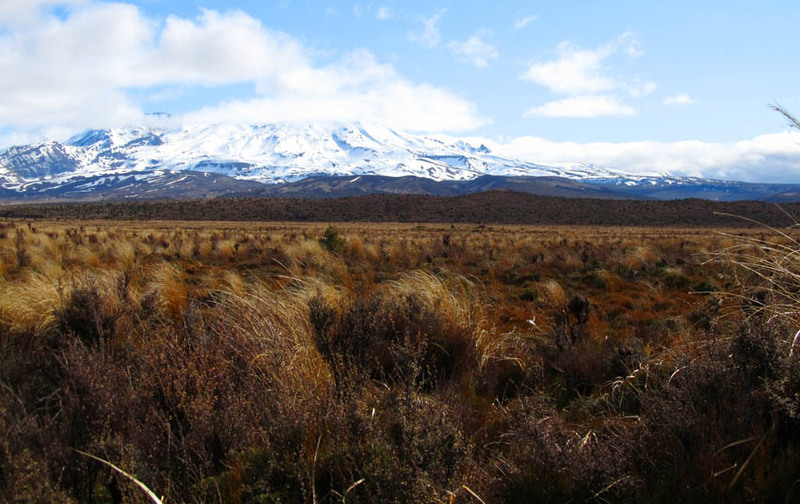 There are three active volcanoes in the middle of this park – Tongariro, Ngauruhoe and Ruapehu, all considered to be ‘tapu’ (sacred) by Maori. Ruapehu – apparently ‘rua’ meaning ‘pit’ and ‘pehu’ meaning ‘to explode’, is one of the world’s most active volcanoes, contains the North Island’s only glaciers, and, in typical Kiwi ‘she’ll be right’ fashion, has some major skifields perched on the side of it. Never let it be said that New Zealanders are a bunch of fraidy cats. The last eruption there was a hydrothermal one in 2007, which was accompanied by a 7 minute long earthquake that registered 2.9 on the Richter Scale. It was about this time that all the skiers and ski lodge staff decided it would be prudent to go the pub (that’s ‘bar’ to you American readers) for a beer. About 200 miles away. Tongariro, means ‘tonga’: south wind and ‘riro’: borne away. Legend speaks of the plea of the priest Ngatoroirangi as he lay dying on the summit awaiting fire from the gods in “Hawaiki”. “Ka riro au I te tonga” said he (‘I am borne away in the bitter south wind.’). 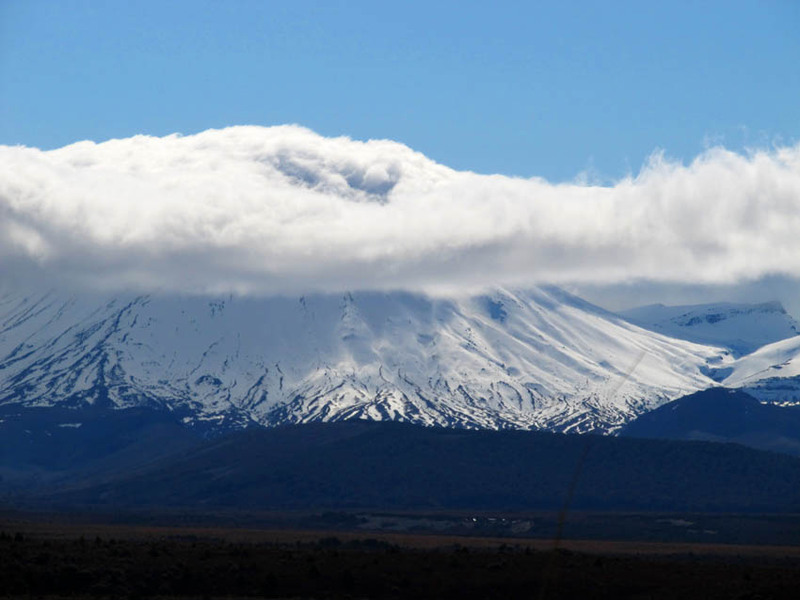 The most common interpretation of the name Ngauruhoe is Nga-Uru-Hoe meaning ‘throwing hot stones’. This peak featured as Mount Doom in Lord of the Rings, where they filmed the Battle of the Last Alliance. If you park up, stay very quiet and watch for a while through binoculars, you may be able to spot hobbits clambering around its slopes. You can read an excellent page on these mountains here. 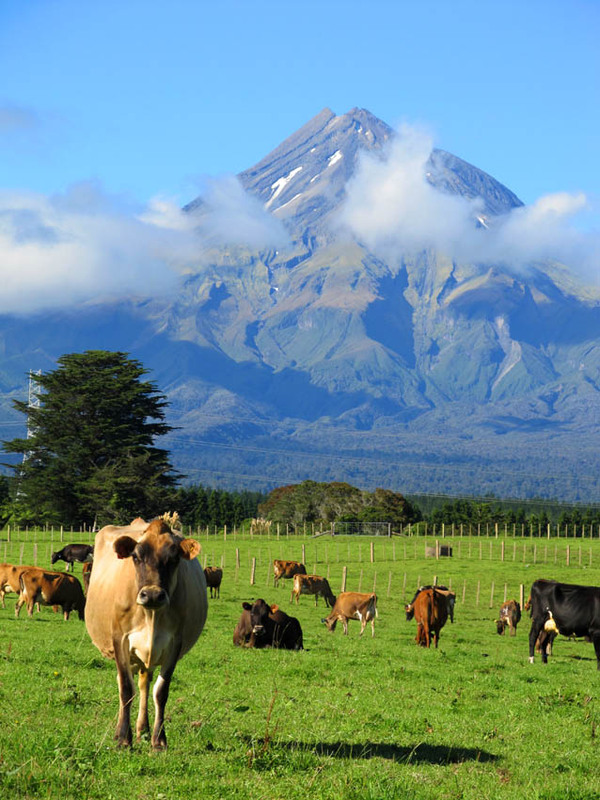 Further on down the line, if you’re mosying down the West Coast, you’ll come across Mount Taranaki, ex-husband of Mount Ruapehu by legendary accounts. ‘Tara’ meaning ‘mountain peak’ and ‘Naki’ thought to mean ‘shining’ and probably referring to the snow that covers it in the winter months. 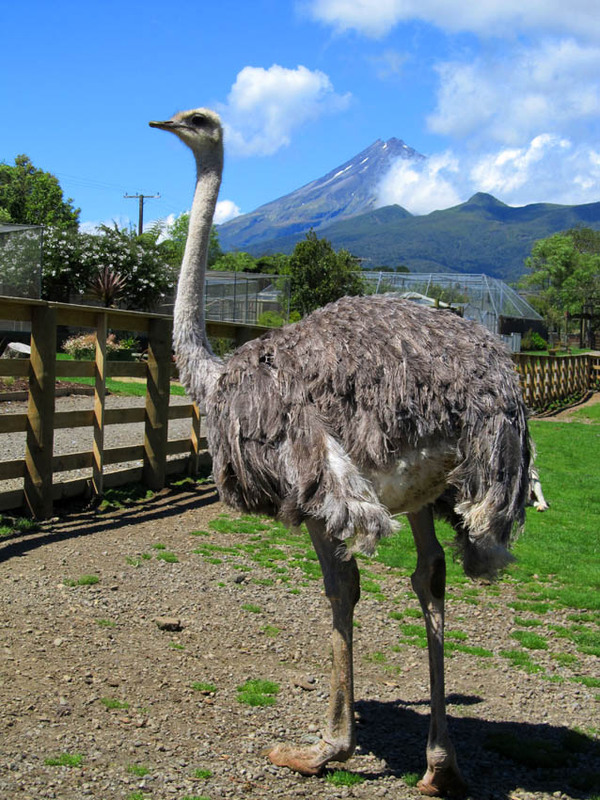 Taranaki is yet another active peak – apparently called a stratovolcano – but nowhere as cheeky as his erupty ex-wife, having last grumbled and burped around the 1850’s, so there’s no need to prepare for a pub rush with this one. Mount Taranaki, West Coast, North Island. Also featuring in the foreground, ‘Betsy’, of New Zealand Bovine Models Inc, TM. 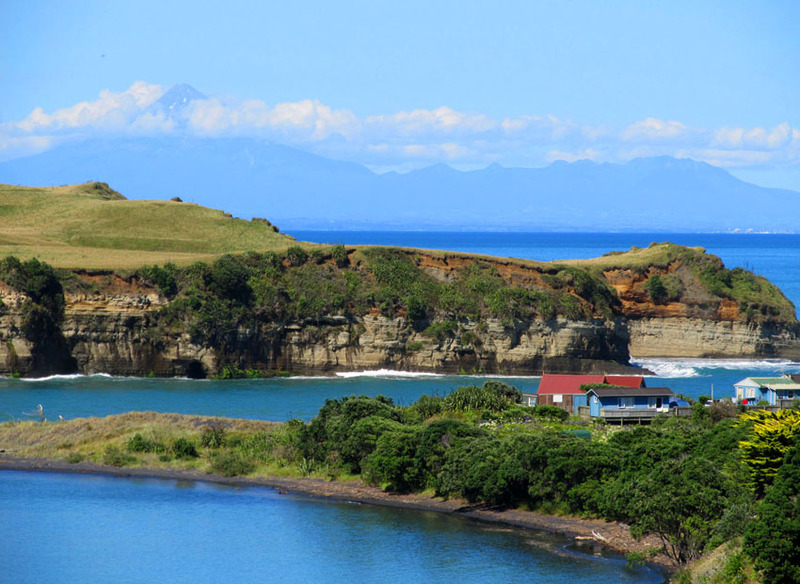 On the way to Taranaki’s back yard, you’ll go past interesting cliff faces, really foldy bits of land, gorgeous coastal views and other sites of both curious and beautiful nature. A wee fairy tunnel, Mount Taranaki, North Island. Little Kiwi baches, West Coast, North Island, New Zealand. Along the West Coast towards Taranaki, North Island, New Zealand. Coast around the ‘Three Sisters’ region, West Coast, New Zealand. Guest appearance by Mount Taranaki in the background. Cliff formations, on the road to Taranaki, North Island, New Zealand. Mount Taranakai, with a conveniently placed, really large chicken in the foreground. So there you have it, a few of the many gorgeous vistas that abound in my little country. 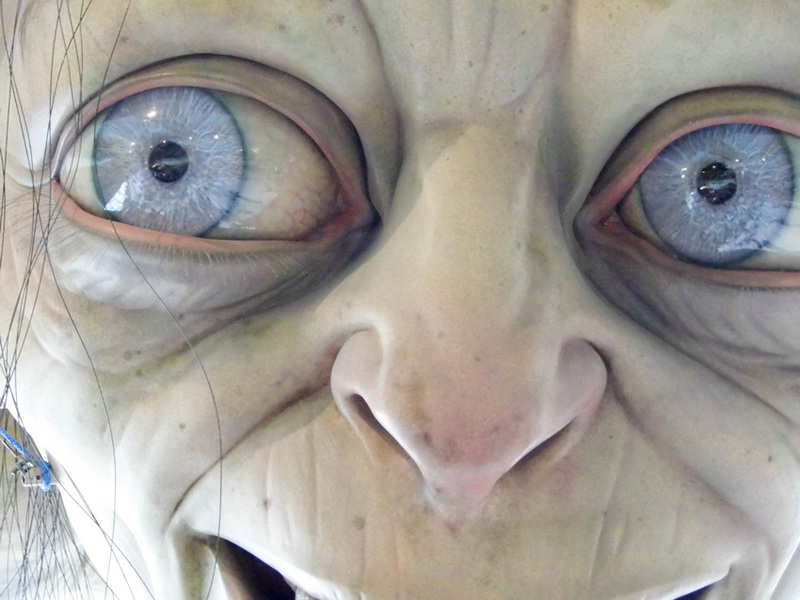 I’m very thirsty now and there’s some wine in my fridge that might go bad and needs tending to, so I’ll leave you to rush off and book your plane tickets to Middle Earth. I’ll tell the pub you might be on your way. Seeya. 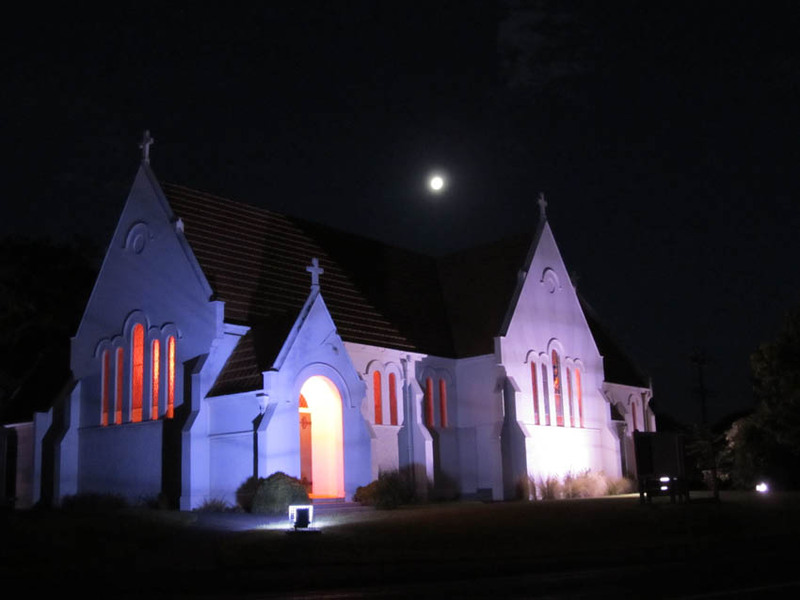 Full moon over a church, Inglewood, Taranaki, North Island. 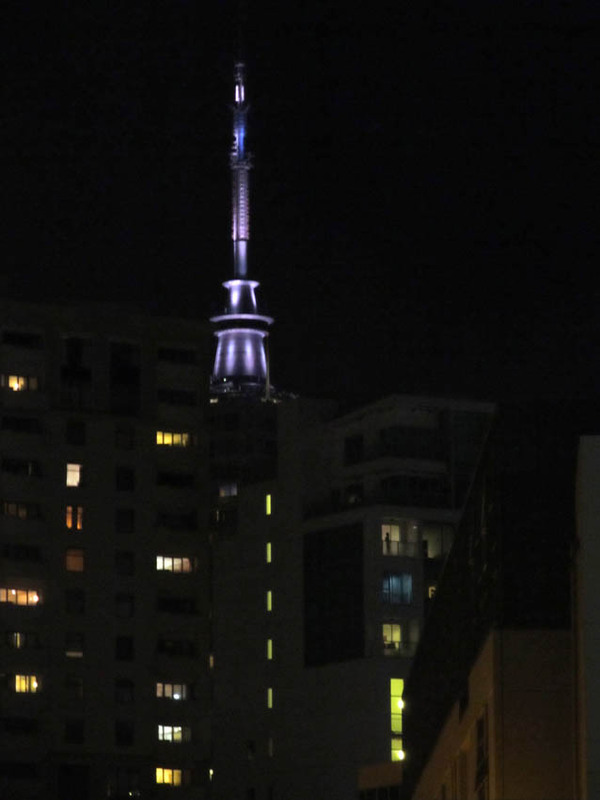 The Skytower – iconic structure in Auckland City, North Island. 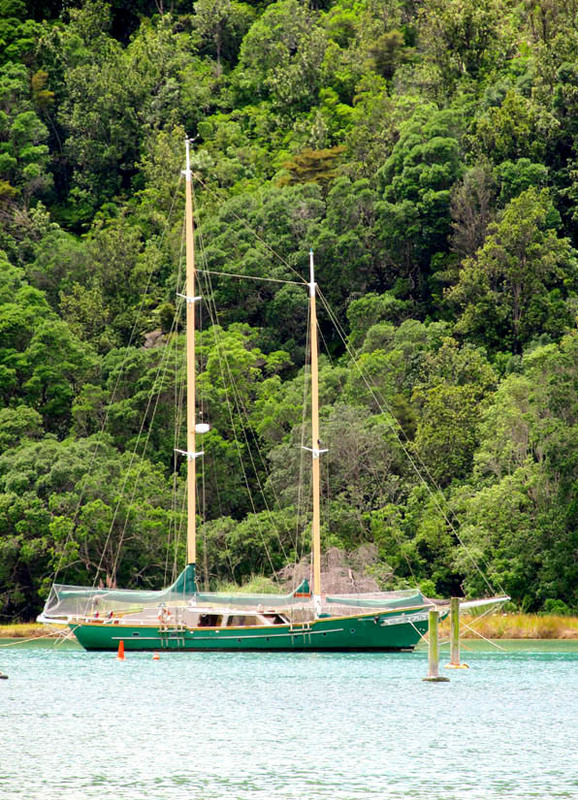 Yacht in harbour, Whangamata, Coromandel, North Island. The native bush goes right down to the waterline. New Zealand is a unique little country, sitting in an unassuming manner at the very bottom of the world. Or in my opinion, at the top of the world, if other countries would only face reality and turn their atlases up the right way. 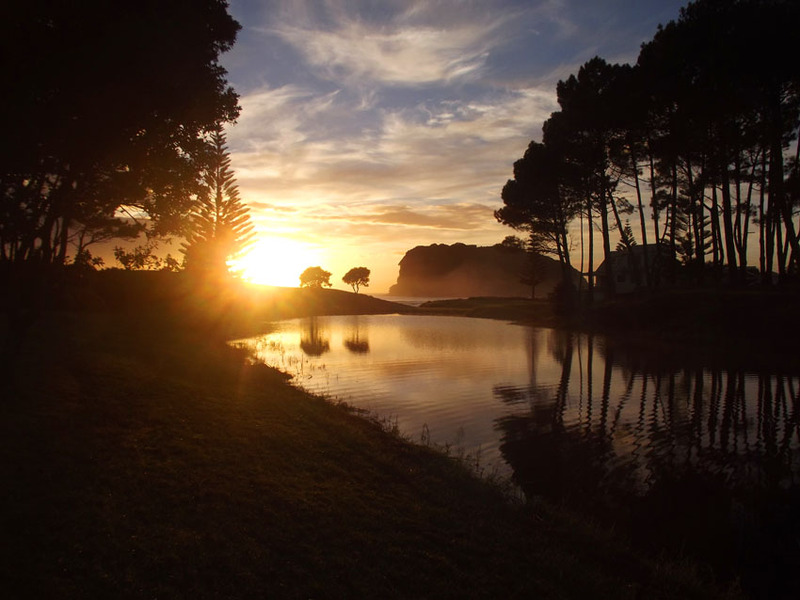 We’re one of the first countries in the world to see the break of dawn, after all. Our national colour is black, our national flower is a fern and our national bird couldn’t fly if you threw it off a cliff. New Zealand is unique in several other ways – we can count amongst our leading politicians – past or present – a transgender, a lesbian or two, several gay men, a dreadlocked fellow whose name is downright unpronounceable, and another unpretentious fellow with a lopsided face who was our Prime Minister for a while, and then did a stint as narrator of the musical The Rocky Horror show, written by Richard O’Brien who grew up here. 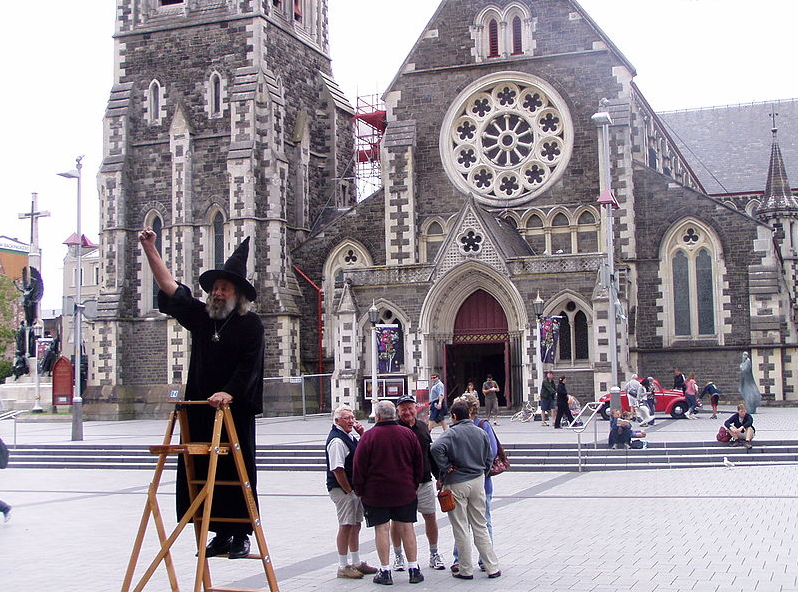 Wizard of New Zealand outside the Christchurch Cathedral, New Zealand. Unfortunately, this cathedral was destroyed in a series of large earthquakes in 2011. Photo thanks to Helmut Pfau. I recently read another inspiring blog post by 23thorns on birds of the Lowveld, South Africa. 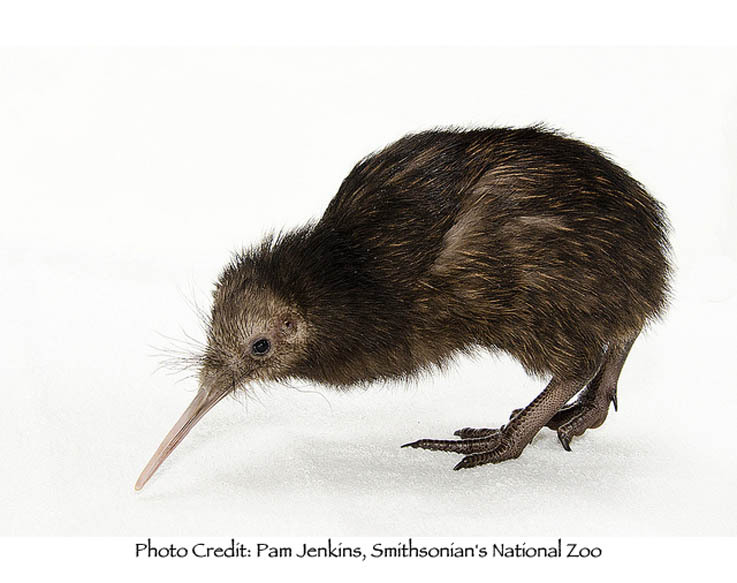 It got me thinking about the birds of New Zealand. We only have a few of our own. We’ve borrowed a few though. 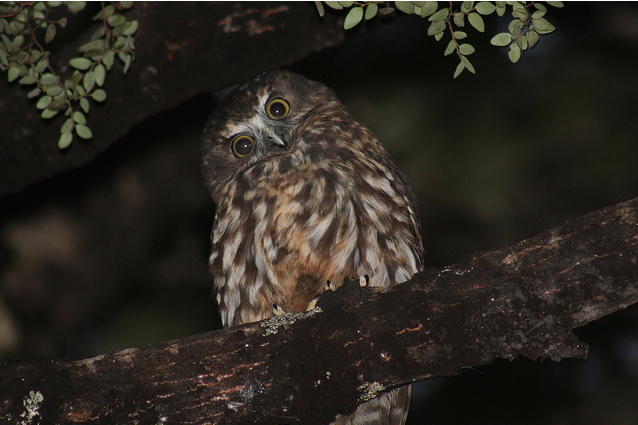 We have the Morepork, which we share with Australia, a shy little owl, not seen much but often heard. It’s so named for its demands for ‘more pork’ – or so it sounds like – at night-time. I am a bear of little brain and I am easily amused by this little fellow who sits in a tree crying ‘Morepork. Morepork. Morepork Morepork Morepork!!!! !’ You can listen to a one here. And here’s a wee silly poem I wrote about one – Excuse Me Mr Morepork. 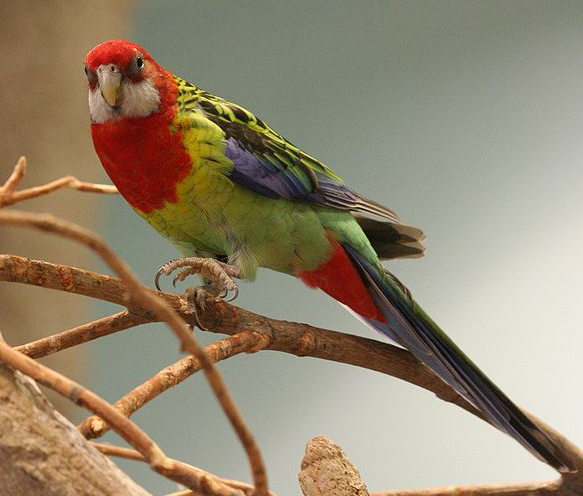 Eastern Rosella – flying rainbows. 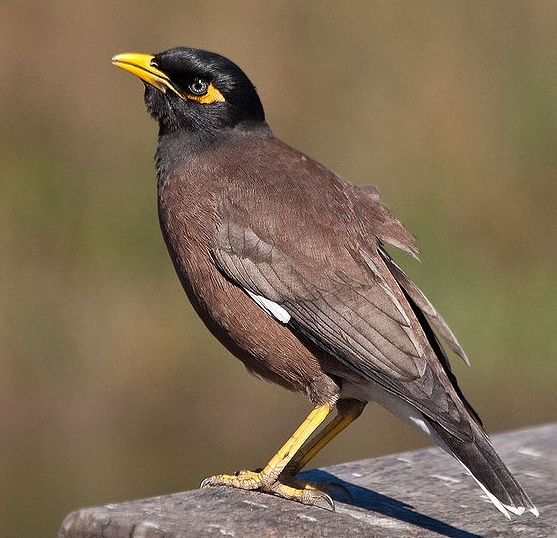 And then there’s the Mynah bird. We have India to thank for them, I believe. Clever little buggers who can imitate darned near anything they put their minds to. I once met one who could tell knock-knock jokes – I swear it! And then afterwards it would laugh a maniacal laugh reminiscent of your garden-variety unhinged homicidal axe-murderer. 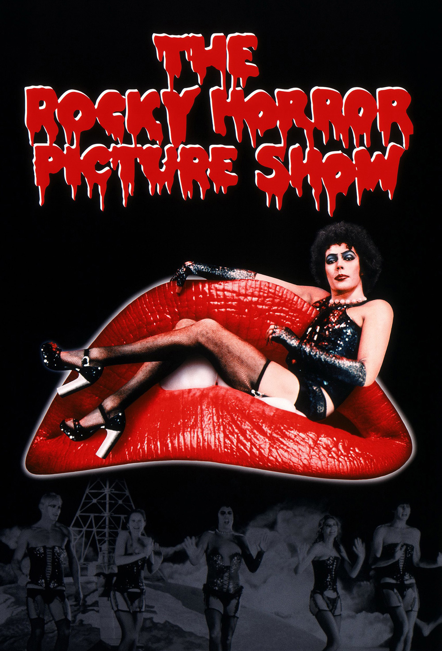 Your garden-variety unhinged homicidal axe-murderer, if their laugh is anything to go by. Thanks to 23thorns, I’ve decided to do a bit of research on our native birds. It’s about time I learned a little more about them myself, so I’ll do a bit more looking around and if all goes well I’ll put a post up in a day or two about them. In the meantime, enjoy your day and try to make somebody random smile if you can. Namaste. 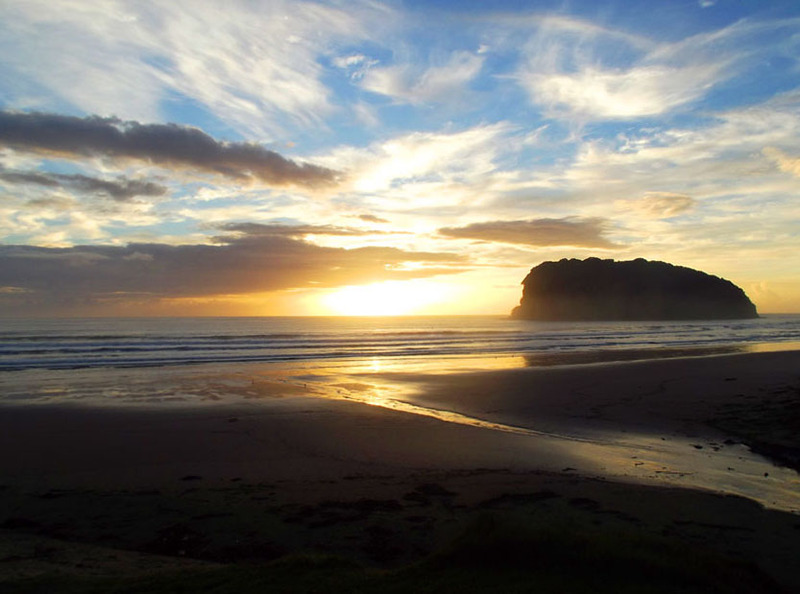 Here’s a great blog post written by a young American woman who’s experiencing New Zealand. 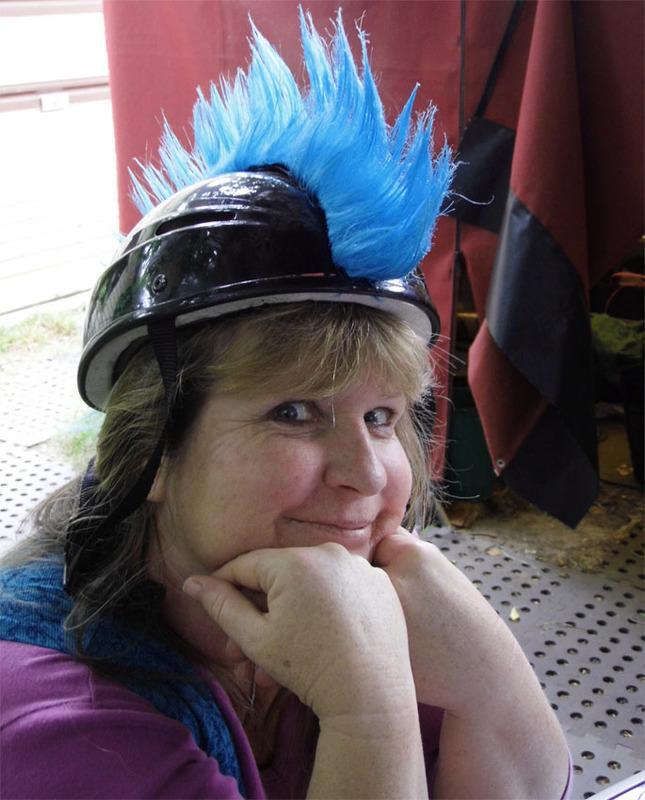 In this post, she discusses the ‘Kiwi accent’. It’s hilarious to read how we sound to other people.